The new Mel Gibson film “Hacksaw Ridge” is the true story of Desmond Doss, a WWII conscientious objector. Doss – a Seventh Day Adventist – served as a medic to the 1st Battalion, 307th Infantry, 77th Infantry Division, ultimately saving the lives of over 75 men for which he won the Medal of Honor. The documentary “The Conscientious Objector: Pvt. 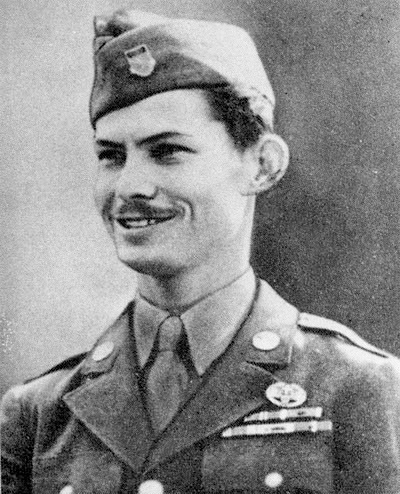 Desmond Doss – The Fearless Warrior Without a Rifle” includes moving interviews with Doss and those who served with him. You can find it at https://www.youtube.com/watch?v=K5JVQt-C8YE. What first strikes the viewer is that Doss was a small man. For him to lift and carry even a single soldier must have been a challenge. Yet he repeatedly risked his life to transport 75 wounded companions off an exposed Okinawa ridge under heavy fire by the Japanese. What is equally remarkable is Doss’ humility. He accepted little, if any, credit for his valor. “Private First Class Doss was a company aid man when the 1st Battalion assaulted a jagged escarpment 400 feet high. As our troops gained the summit, a heavy concentration of artillery, mortar and machine gun fire crashed into them, inflicting approximately 75 casualties and driving the others back. Pfc. Doss refused to seek cover and remained in the fire-swept area with the many stricken, carrying all 75 casualties one-by-one to the edge of the escarpment and there lowering them on a rope-supported litter down the face of a cliff to friendly hands. There is more – no Hollywood embellishment necessary. When Doss’ legs were shattered by an explosion, he instructed litter bearers to evacuate a more critically injured man first. Shot in the arm, as well, Doss used a rifle stock as a splint and crawled 300 yards to the aid station. These were not acts of bravado. They involved no posturing, no chest pounding. They were instead acts of faith. For Doss entrusted his life wholly to God, whatever the outcome. Few of us can say as much. “Greater love has no one than this, than to lay down one’s life for his friends” (John 15: 13). It’s an awesome story. I’m anxious to see the movie. An absolutely wonderful post Anna. Made me feel proud to be a human being. I bow to his beliefs and courage. I feel the same way about Doss. I wish some of our politicians would follow his example. But they won’t run the risk of jeopardizing their careers for the common good, let alone their lives.